The moment twelve-year-old Kelsey and her mother arrive at Freedom Lake, it’s obvious that this is not going to be the kind of resort experience Kelsey expected. Or hoped for. A nurse escorts a girl in a straight-jacket out the back door of their cabin and Kelsey’s creeped out. The girl begs Kelsey for help. 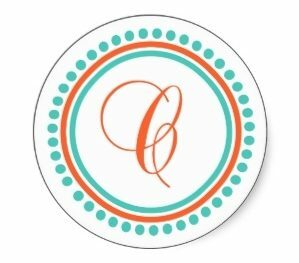 Mrs. A., the woman who runs the resort, apologizes and explains that the girl hasn’t been taking her meds. That’s when Kelsey learns there’s a private school on the property for girls with “special needs.” It’s off-limits to resort guests, not that Kelsey would have a reason to go there. At first Kelsey believes Mrs. A. because she has other things to worry about. Like how she will fit in with the rest of the resort kids. One boy in particular. Things change when one of the “special girls” slips Kelsey a secret message. It’s a riddle. As Kelsey begins to unravel its meaning, she realizes something chilling is going on at Freedom Lake Girls Academy. The more Kelsey learns, the greater her danger. If she’s not careful, she might become a “special girl,” too. 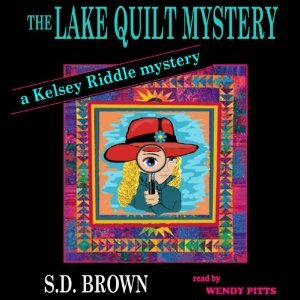 I enjoyed The Lake Quilt Mystery, a middle school mystery starring twelve-year old Kelsey. Freedom Lake is a good setting. It seems like one of those resorts folks go back to year after year, but it has an odd school on the grounds for “special girls.” Kelsey’s first “meeting” with one of the girls is odd, and we know something’s up. The mystery’s good for a middle school book. There’s enough clues but only a few suspects and the solution makes sense. There’s not way out there twist at the end, which I think is good for an audience who is still learning how mysteries are constructed. There is definitely danger though, for Kelsey and for the girls at the school that she ends up needing to save. Kelsey in a lot of ways is the typical amateur sleuth – bright and stupid at the same time, putting her life in danger. At least she has the common sense to call the cops, even if it doesn’t work out ideally. Kelsey’s a fun girl, smart, determined, perhaps a little more boy crazy than the 12 year olds I’ve known. Amber just turned 14, so I’m not that removed from 12, and she and her friends were way less interested in boys as more than friends than Kelsey. They would not have been hoping to meet a boy on vacation. I liked Kelsey’s resourcefulness, but do we have to be pushing boys at 10 and 11 year olds? On the other hand, at least the guy who ends up being her side-kick is nice, hard-working, and a reader. Wendy Pitts is excellent as the narrator. The story is told from Kelsey’s point of view and she nails the twelve-year old voice. She felt like Kelsey, not like an adult pretending to be a kid. Overall, it was a good story. Not necessarily a must-read, but fun enough. It would have been a good one to listen to on a long car ride when Amber was younger. This sounds fun. I got my mother-in-law started on quilt-themed mysteries, but I’m not sure she would go for one aimed at Middle School. No, I don’t think I’d really recommend this one for adults. It’s just not one of those books that works for both audiences.